Phone Bill Casino fell in love with 777 Casino the moment we saw it, due to its beautiful American retro theme. With the trendy 50’s imagery we’ve come to associate with the good old USA, 777 Casino transports you into another era. All this and we’ve yet to mention the games which include card games, roulette, live casino, jackpot games and video slots such as Starburst. Although many of us still prefer to play on our desktops, the move to mobile is rapidly growing. So 777 Casino offer 60 plus games on mobile and tablet devices, which you can access by downloading an app. Be prepared to be blown away by the 777 welcome bonuses, because not only will you receive a no deposit bonus there’s cash matches on your first five deposits. Registering is a relatively easy process on 777 Casino and when you’ve confirmed your banking method, you’ll receive a £21 no deposit bonus. You can use this credit however you wish and it will provide you with the opportunity to test a number of games, before you deposit. 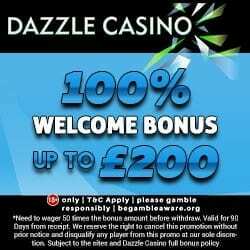 Firstly you could opt for a 100% cash match bonus between £20 and £200 on your 1st deposit, using promo code WELCOME777. This means that you’re doubling your money and will have extra credit to enjoy their incredible games. It’s a sad feeling when you’ve used up your welcome bonuses, but don’t be too dismayed because 777 Casino offer a number of weekly promotions. There’s no better way to add excitement to what can be a boring week, so check out the Jackpot Marathon Monday, Twilight Tuesday, Raffle Wednesday, Time Travel Thursday and Cashback Friday. Playing on 777 Casino brings you more than top quality games, because you’ll earn comp points as you wager. 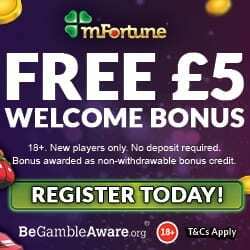 For every £10 you wager you’ll receive 1.5 points and when you reach 150, you can redeem £1; this means whether you win or lose you’re always earning. 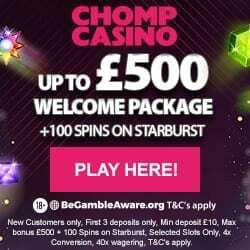 In addition to the comp points, 777 Casino also offer a VIP Scheme through the 888 VIP Casino Club. Membership to this club brings with it a personal account manager, premium bonuses and invites to special events. For those times when you have a query or problem, you can access a 777 Casino representative via email and telephone. What you may not know is that Neteller now accept Boku banking, which is the ability to pay for your credit using your mobile phone bill. There is a fee for this transaction sadly, but for those of you who love mobile billing it gives you an additional option. Check out our article on Neteller accepting Boku payments, which also provides an additional list of sites. To hit the jackpot road with the amazing 777 Casino, head over and register; because who could pass up a £21 no deposit bonus.